Savory Prime 100% Cod Skin Fish Strips Dog Treats 4-oz. Made from wild Pacific and Atlantic Cod skin - nothing else! High in protein and Omega 6 & 3 Fatty acids. Scaly texture reduces plaque and helps prevent tartar. 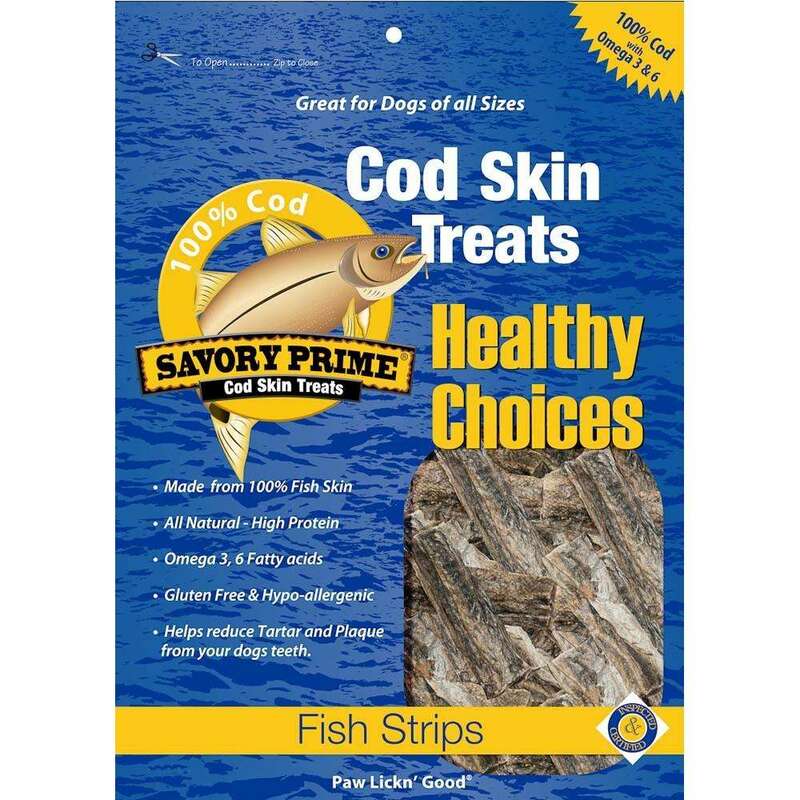 Sourced from wild Pacific and Atlantic Cod, Savory Prime Cod Skin Treats are hypo-allergenic and gluten-free. Rich in fish oils, Cod Skin Treats help promote healthy skin & coat, heart function and overall health. *This compound is not recognized as an essential nutrient by the AFFCO dog food nutrient profile.